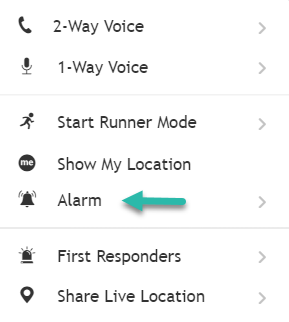 For the GPS 1, you must be authorized to call the device in order to use the Alarm feature. The telephone dialer will appear, displaying the device’s phone number. Start a call to the device, which will make it ring out loud. In order to stop the alarm, end the call.